Moving is stressful. Things get lost; things get left behind no matter how much we try to be calm and composed. 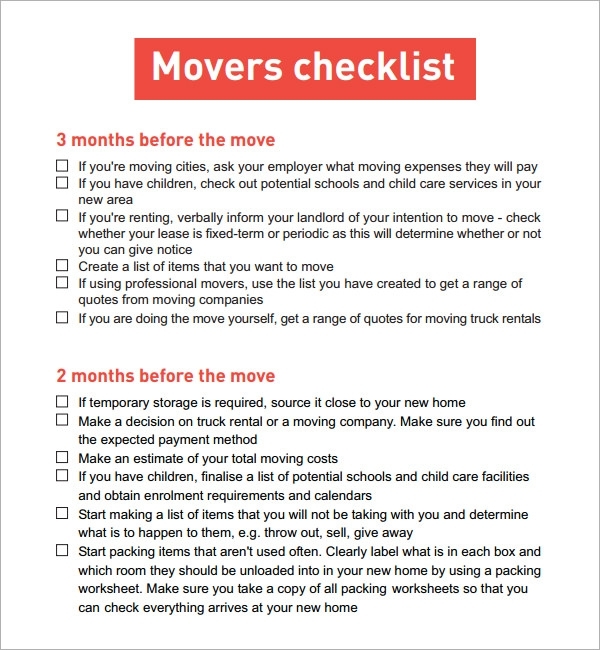 This is precisely why you need to plan ahead much before the actual shifting process and that is the reason why you need a moving checklist. 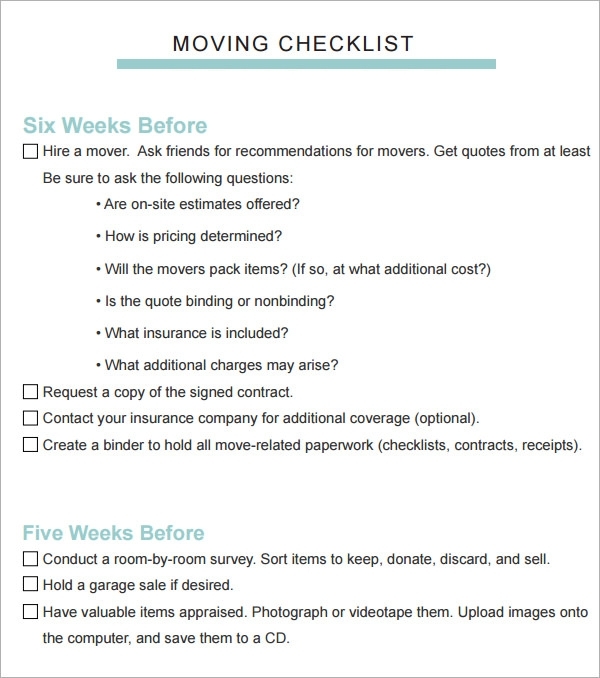 To Do List for Moving can be tough, especially if you are a part of a family and you have to organize all the things that you must take with you, decide on what to leave behind. 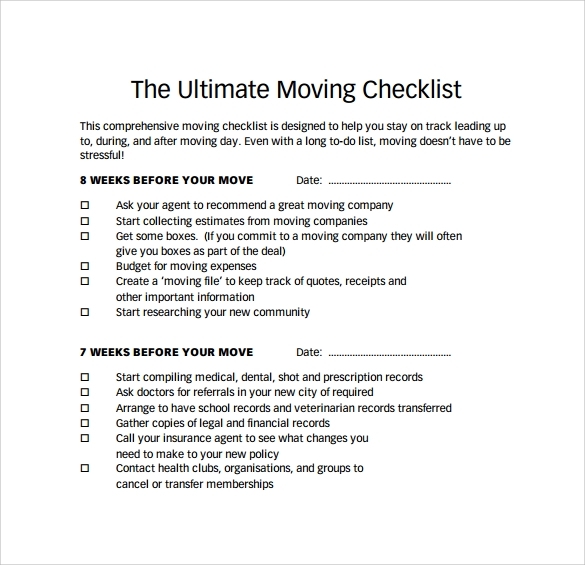 The checklist should be compatible to nature of your shifting; whether it’s across the street or across states. However there are some simple things that should be kept in mind in every case. 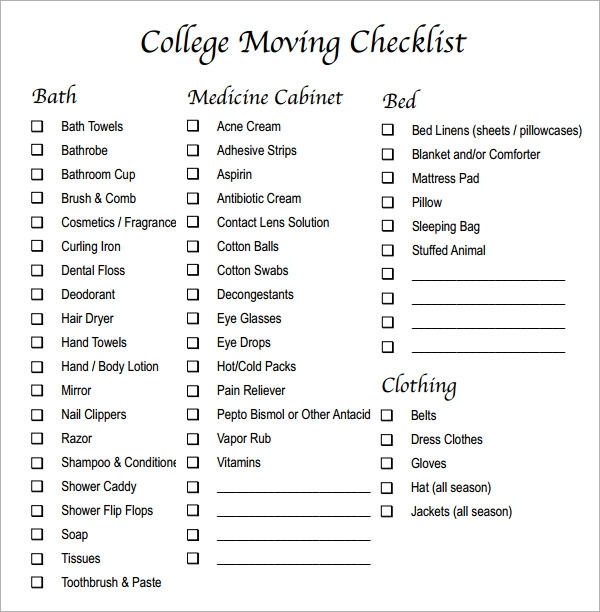 Our checklist given below illustrates just that. 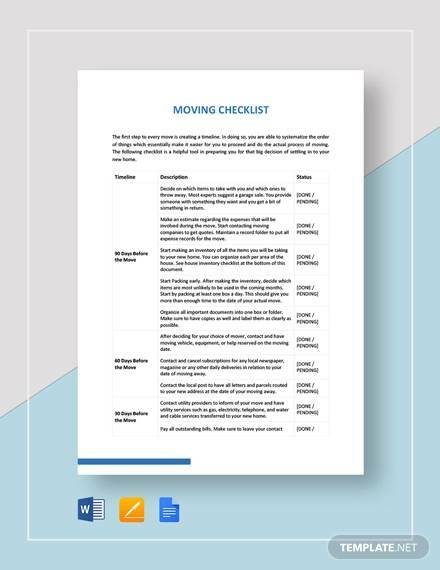 The checklists are brief, adequate and without unnecessary redundancies. 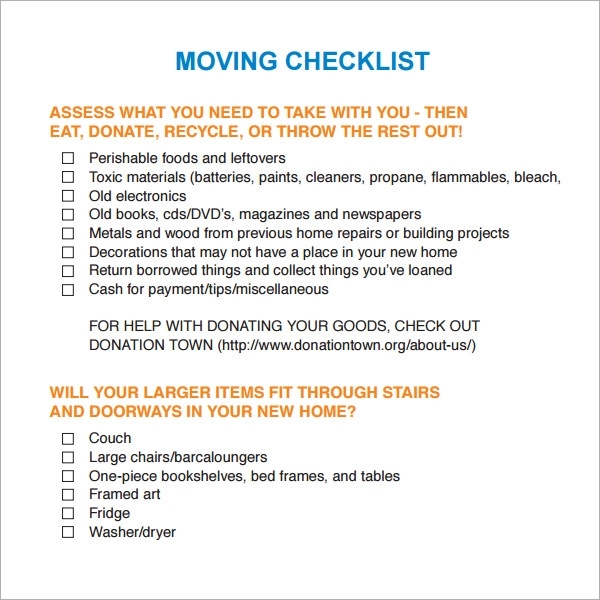 It contains valid tips on how to get along with the essential packing and discarding. 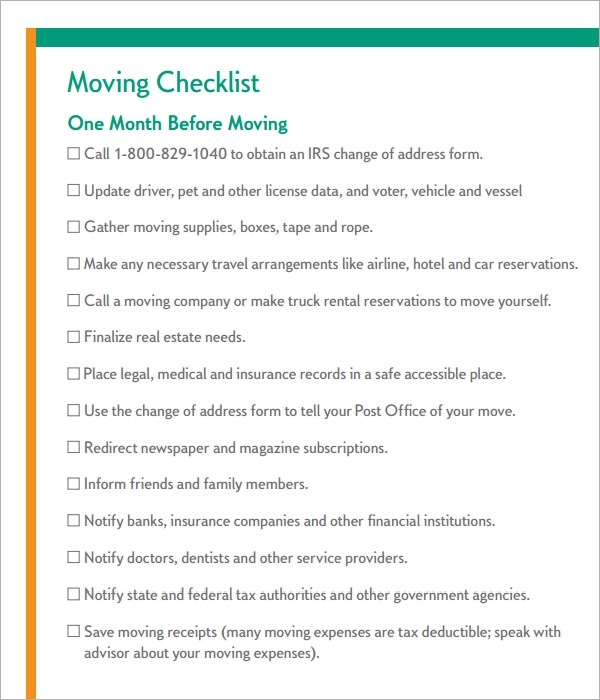 Finally it gives a clear idea on the do’s and don’ts of moving. 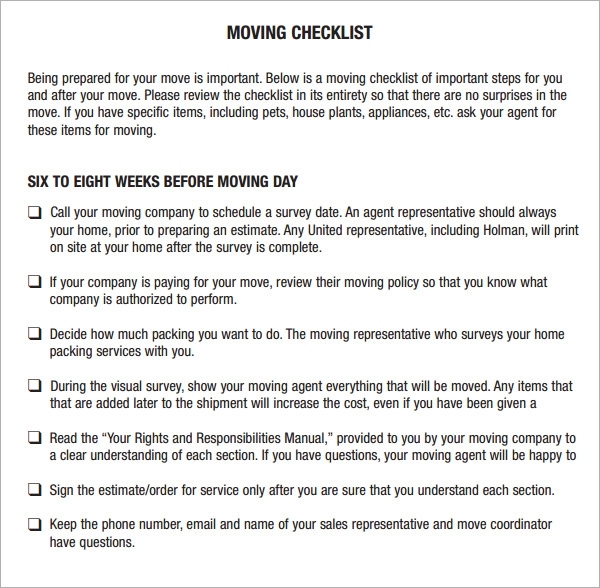 You can download one our free moving checklists given below which would give you an idea of how to go about the entire process. 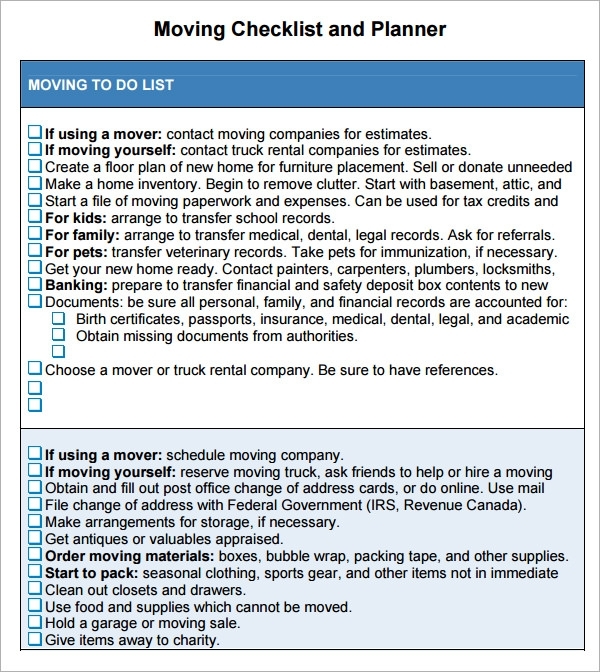 You need to keep track of packing supplies, learn how to pack different household items, pick the moving company etc. The change of address entails with itself the activity of sending a host of mails to different people starting from employers, employees to friends and technicians. 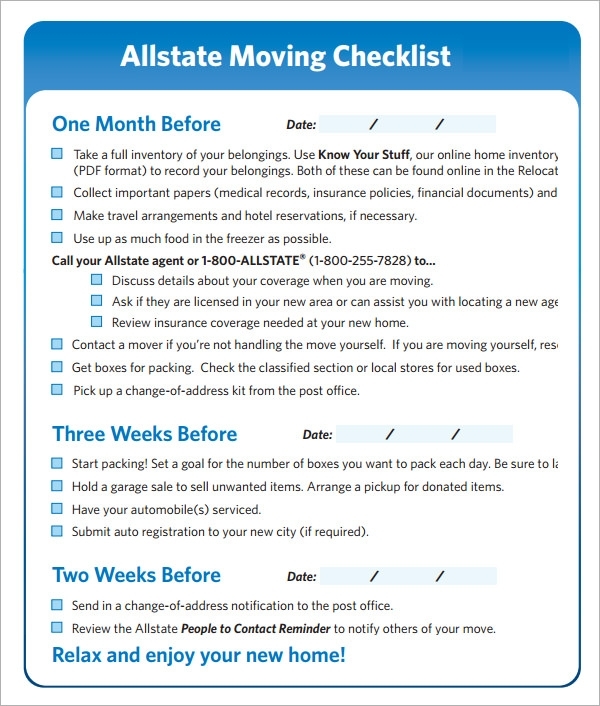 Our checklist keeps you prepared for all of that. 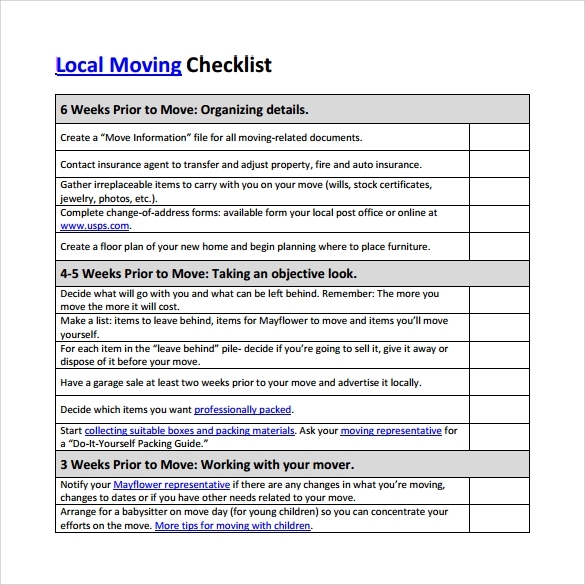 At the very end you need to know how to move your perishables and what you need to do once you reach your destination.